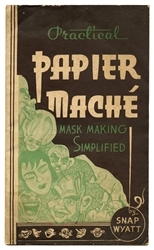 Lot Detail - Practical Papier Mache Mask Making Simplified. 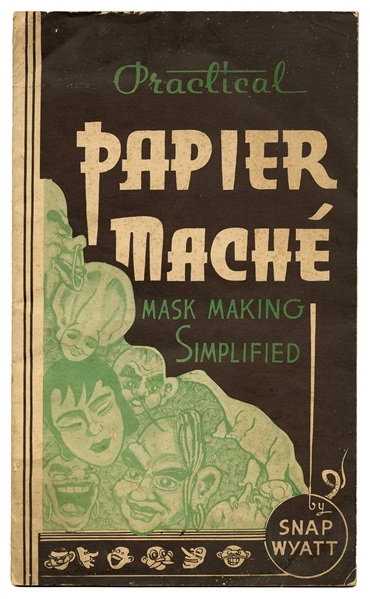 Practical Papier Mache Mask Making Simplified. Wyatt, Snap. Practical Papier Mache Mask Making Simplified. Tampa: Snap Wyatt Studios, ca. 1950s. Pictorial wrappers. Illustrated. 4to (14 x 8 ¼”). pp. Foxing and slight wear to covers.